October in Cairns is heading into the wet-season, which means that the humidity is starting to rise and the days are becoming warmer hitting an average high of around 30 ° C. This means that you’ll want to pack light, loose clothes that allow plenty of airflow to stay cool. You’ll also want to bring plenty of mosquito repellant as the humidity and increased rainfall unfortunately means more mossies are out to annoy you. The water temperature is still not at its peak, sitting at around 25 ° C, but the reefs are starting to come alive. If you missed the start of Pride in September then not to worry, the LGBT+ celebration continues into October! 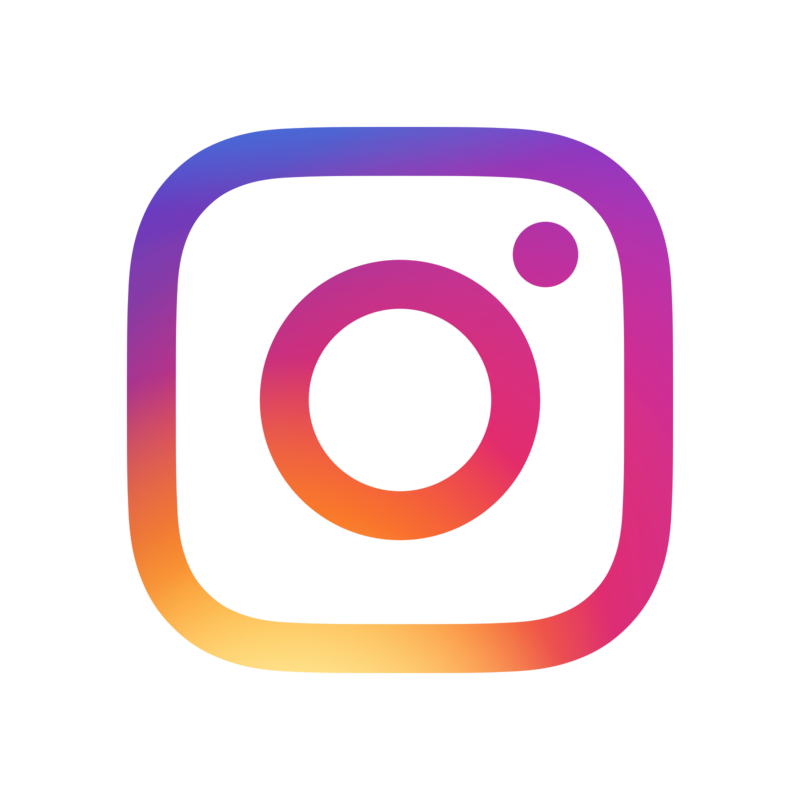 The festival features ten fabulous days of vibrant colour, sparkling entertainment and events happening all over Cairns. Tickets are $50 and can be purchased here. The Reef Feast in Palm Cove is one of Far North Queensland’s favourite community events. Experience the region’s unique cuisine, fresh produce, live music from local acts, as well as a healthy dose of the tropical lifestyle and culture. There are numerous events run across the four days including a grand opening feast, longest lunch and the Reef Feast Market Day. Check out the full program here. 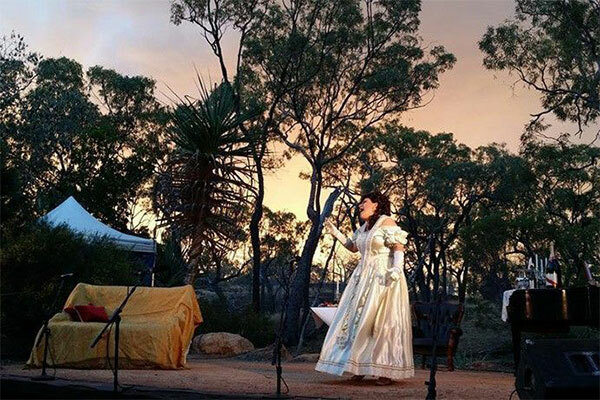 Taking place in a specially designed outdoor amphitheatre, the Undara Opera in the Outback is an experience that will stay with you for a lifetime. There’s nothing like watching the burnt orange sun disappear behind the horizon, while the incredible voices wash over you, or looking up at the starriest night you’ve ever seen as a beautiful aria soars to the heavens. Find out more and get your tickets here. The Taste of the Tablelands festival is run by the Rotary Club of Atherton and will be held at the Chinese Temple Grounds on Heberton Road. Farmers from across the region bring their produce to sell or display, showcasing the best the Tablelands has to offer. The event also boasts gourmet food stalls, entertainment and plenty of shade, although it’s always a good idea to bring a hat. Click here to find out more. Even without the festival on, Kuranda is a picturesque town, well worth the visit. Take the scenic rail and skyrail up to the ‘village in the rainforest’, which gives fantastic views of the World Heritage rainforest on the way. 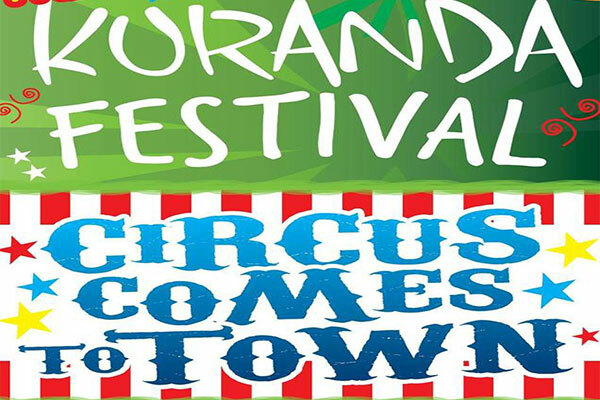 This year’s theme for the Kuranda Festival is ‘A Circus Comes to Town’, for the whole of Sunday, Therwine Street is a parade of colour, life and entertainment. Some of the great family-friendly activities include the Barron River Raft Race, ice cream eating competition, face painting, jumping castles and so much more. Entry is free and you can find more details here. Back again for its fifth year, the Yarrabah Band Festival is a celebration of the diversity in Australian music. Aussie country music legend, Troy Cassar-Daley will be performing this year, alongside other festival favourites Shellie Morris and the Yarrabah Brass Band, plus many more. There will be food stalls and local arts and crafts gracing the Jilara Football Oval as well. The seaside town is only 50 minutes drive from Cairns, check out their website for more info. Scotland will compete against Tonga while Ireland faces off Italy, all in one big day of Rugby League at the Barlow Park Stadium in Cairns. Tickets for the big games can be purchased here.